Many ad networks in the markets are available today. What Does Mobile Advertising Networks Do? They collect advertisements by advertisers and sell it to app publishers and developers. Advertising networks come together with advertising publishers and advertisers. They help advertisers find advertising space and app publishers, and developers can monetize their applications by selling space in their applications. 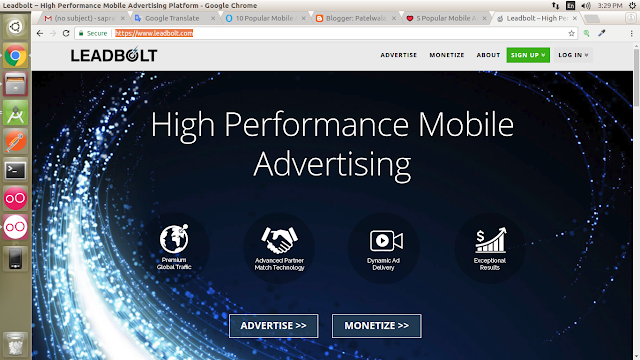 Mobile ad networks collect advertising inventory from various publisher sites. The choice of ad inventory may be based on various parameters determined by the advertising network. The mobile advertising network works as web / ad servers. They take advertising requests that originate from mobile devices and offer advertising responses consistent with those requests. Let's now look at some advertising networks. You can choose the one that best suits your interests. If you are a game application editor, you should definitely try Chartboost to better monetize your application. It is an ad platform only for mobile devices that focuses primarily on players. It stands out in the cross-promotion of applications and its ads focus on fostering the installation of new gaming applications. 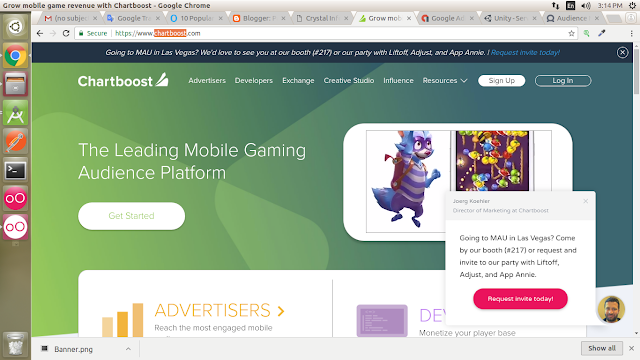 Game application publishers opt for Chartboost to keep their user base together. Publishers choose to promote their new gaming applications in existing gaming applications. Users look for new and fun alternatives and application publishers need to promote their new games and boost their facilities; Chartboost receives a cut: everyone wins. The platform provides you with analysis and you can get a lot of knowledge on how to improve your campaigns by analyzing the data. The developers get direct access to the data generated by Chartboost. The integration with Chartboost SDK is very easy. Chartboost allows you to see who advertises in your application and where: the place. You control the ads that users of your application can see. Supported Ad formats: Interstitial, Video and Native Ad. 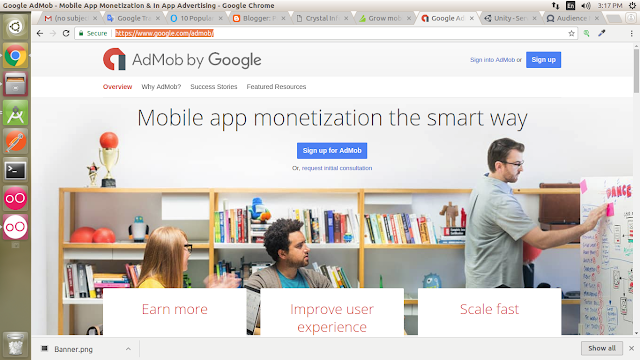 Google's AdMob is one of the most popular mobile ad networks with cross platform capability. Over 1 million apps use AdMob and it is popular because of its high CPM and best fill rates. It is industry leading mediation platform. When you mediate from AdMob you get added advantage of over 40 third party ad networks that will help you maximize your fill rates and then increase your earnings. You can optimize the AdMob network and generate the highest CPM from your mediation stack in real time. It is very easy to use. Even if you are starting with app monetization, it is advisable to use its different tools and solutions. You can cross sell your other apps or those of your friends to your existing users. Unity Ads is a pioneer. It made video ads to natural part of the game. Its rewarded video strategy is changing the dynamics in the industry. No one thought of engaging the whole player base of an app before Unity. Unity makes ads to natural part of the games. Developers monetize entire player base with rewarded videos. Today Unity is one of the most trusted companies in gaming which is supported by a network of more than 1B gamers. 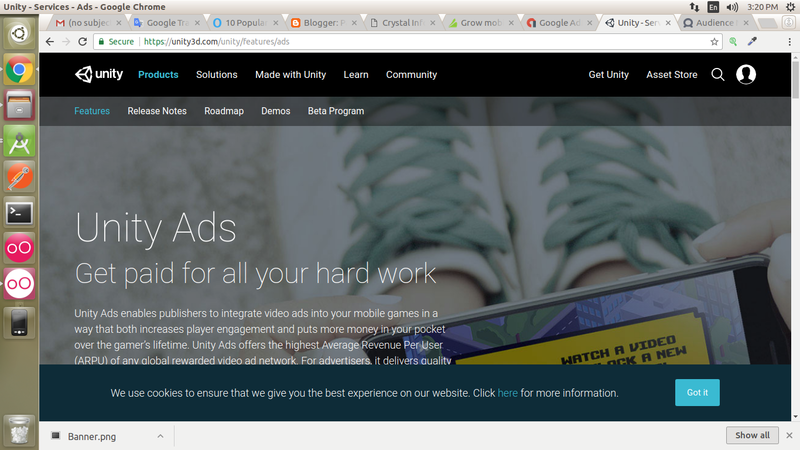 If Unity engine is already used in apps there is no need for adding the SDK. As a natural part of the gameplay, ads drive ARPU and contribute to the bigger goal - greater lifetime value (LTV) of the player. With the help of Facebook Audience Network the advertisers can extend their campaigns beyond Facebook into other mobile apps. 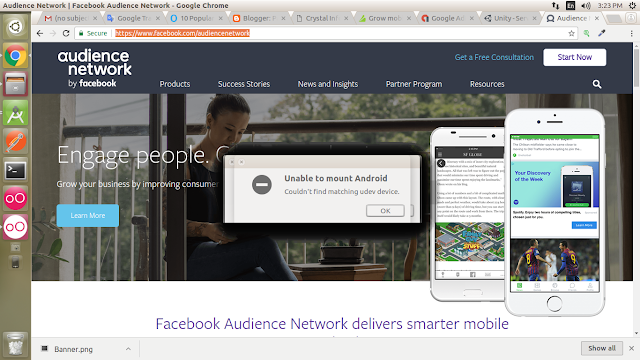 The Audience Network is a collection of mobile apps where Facebook advertisers serve ads in the mobile that have Facebook app using the same analytical and targeting tools of Facebook. Facebook uses the same native ad products in Facebook Audience Network to deliver superior results. You as an advertiser can run your Facebook ads on the Audience Network by enabling "Audience Network" in the placement section while creating or editing an ad. It pays both on clicks and impressions. Facebook Audience Network however does not provide a list of advertisers. It now boasts of more than 3 million global advertisers. Leadbolt is a leading mobile ad network that provides advanced partner technology match along dynamic ad delivery. It allows mobile advertisers to reach and acquire quality users at scale. Leadbolt has analytics based algorithms that can assist advertisers with advanced targeting to help the best fit audience engage optimally with Leadbolt. It is known for dealing with premium ads. Its analytical capabilities are real time and help the advertisers with optimization on different platforms. It provides app engagement data which helps the developers ensure that the advertisements shown are not sea the user engagement experience. Publishers connect directly to premium advertising partners through Direct Deals Marketplace. It helps with app downloads. It has high fill rates.